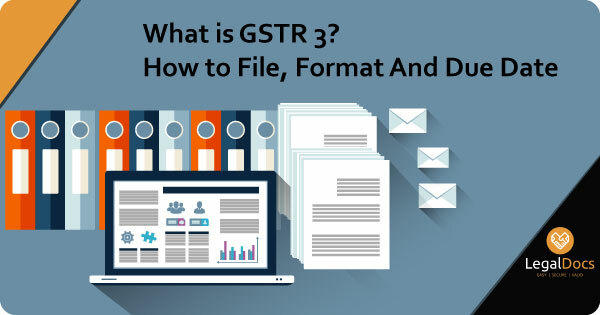 GSTR 3 - What is GSTR 3 ? Goods and Services Return should be filed by every taxable person, there are in all 11 types of GSTR, today we are going to understand what is GSTR 3. 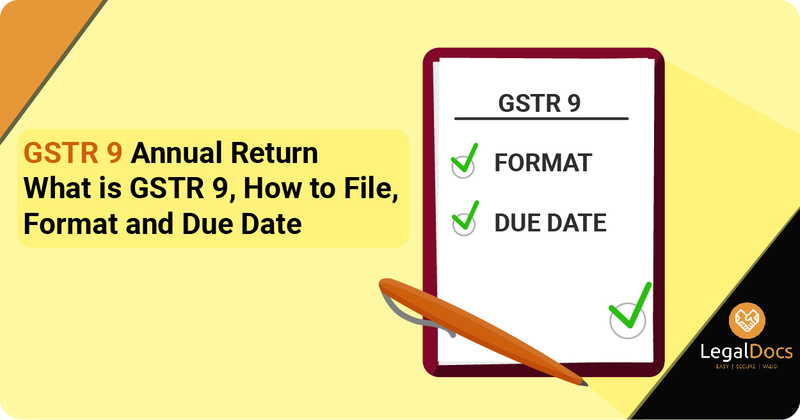 GSTR 3 is the final form to filed by the taxpayer with the details including with the monthly return of the business. The Part A of GSTR 3 return will be generated automatically based on information furnished through FORM GSTR 1, FORM GSTR 2 and based on other liabilities of preceding tax periods. GSTR 3 due date is before 20th of every month. Later the taxpayer may not be allowed to file the details. The taxpayer can submit his liability towards tax, interest, penalty, fees or any other amount payable under the Act and include the details in Part B of the return in FORM GSTR-3. GSTR 3 return should be filed by Input service distributor, Non-Resident Taxable person, Person paying tax under section 10 i.e. person opting for Composition Levy, Person required to deduct tax at source i.e. person paying tax under section 51, Person required to collect tax at source i.e. person paying tax under section 52. How To File GSTR 3? For GSTR 3 filing a taxpayer should enroll under GST and, should have an active GSTIN for the period. The GSTR 3 filing can be done on GST portal with appropriate login credentials. As soon as you visit the portal you need to follow the steps given below for filing GSTR 3. Visit the GST portal, fill the financial year and return filing period and click on generate. As soon as you click on generate a dashboard will be displayed with the summary details based on the filing of GSTR 1 & 2. You can cross verify auto-populated details such as Inwards & outward supply, ITC credit, refund claim of ITC, tax paid, TDS, tax liability. Overall summary of the details will be displayed on the screen. You have to submit your DSC and generate GSTR 3. GSTR 3 is a consolidated monthly return which will have the details of tax liability along with the tax collected on outward supplies and tax paid on inward supplies by the registered person. GSTR 3 will be auto-populated through GSTR 1 and GSTR 2 of a registered taxpayer under GST. The major benefit of GSTR 3 is to reduce the manual interaction or intervention and the sytem will itself update the details. GSTR-3 is a monthly return which will be helpful to finalize the details of outward and inward supplies and be sent along with payment of tax. GSTR 3 due date is 20th of every month, it will not be accepted if the filing is done after 20th. GSTR 3 is segregated in two different slabs, one is GSTR 3 and another one is GSTR 3B, let us have a look at the difference between GSTR 3 and GSTR 3B. GSTR 3 is a monthly return. GSTR 3B is a self-monthly declaration. In case any changes need to be made in GSTR 3 then it cannot be revised once it's submitted, it can be changed in next month. Once filed GSTR 3B cannot be revised. Who should file GSTR 3? GSTR 3 should be filed by the input service distributors, Composition dealers, Non - resident, Person liable to collect TCS and deduct TDS need to file GSTR 3. It is necessary for every taxable person to file GSTR 3. In case the GSTR 3 is not filed within the due date then 18% interest is charged per annum, which is calculated as per the outstanding tax. GSTR 3 late fee is Rs. 100 per day per Act. So it is 100 under CGST & 100 under SGST. GSTR 3 penalty total will be Rs. 200/day. The maximum is Rs. 5,000. There is no late fee on IGST. There are in all 11 tiles in GSTR 3 format such as GSTIN (Goods and Services Taxpayer Identification Number), Name of the taxpayer, Tax period, Turnover details, Auto-populated details such as outward supplies from GSTR 1, Inward supplies from GSTR 2, Monthly tax liability, Receipt of TDS and TCS collected and deducted, ITC. 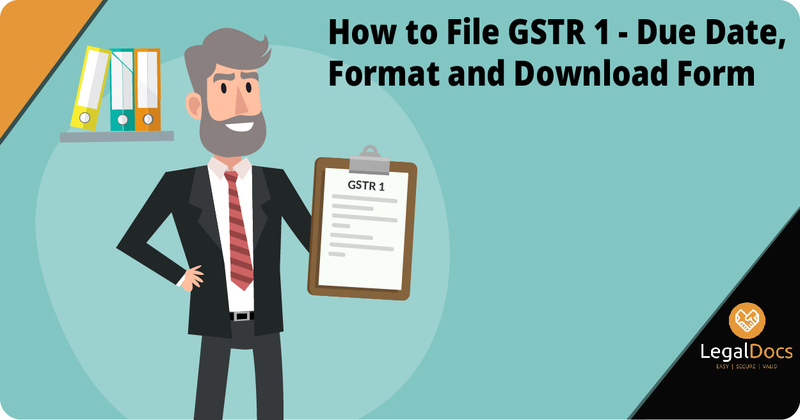 It is also possible to get the GSTR 3 excel format which will help to enter the data in bulk. GSTR 3 form download can be done by clicking below.